Do you ever feel like you just want to have an adventure? Try something new, and say Yes to new opportunities? Of course you do… me too. When things start to get a bit mundane and same-y, I like to try and mix things up. It keeps things exciting! Traveling into space or flying to Oz may not be possible, but how about learning something new? There are so many online courses out there where you can learn anything from nutrition, to childcare, to web development. Add a new skill… even if it’s not to change careers, you might just find your passion. Why not make 2017 your year of adventure?? 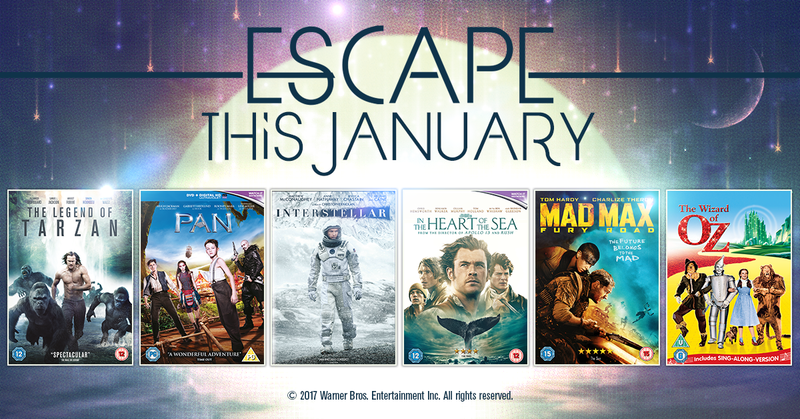 Click here to view a range of DVD’s to help you escape this January!